Klik op de foto voor een impressie van de General Counsel NL New Year’s Drinks bij de Endemol Shine Group. Een stille revolutie is gaande binnen de juridische afdelingen van grote bedrijven. De rol van de interne jurist verandert ingrijpend: niet langer de man of vrouw die dwarsligt, maar juist iemand die dingen mogelijk maakt. Lees hieronder het hele artikel. Jurist, ga je de strijd aan met machines of help je ze bouwen? Zie de intrede van kunstmatige intelligentie niet als bedreiging, maar als kans. Dat is de oproep aan advocaten van Richard Susskind, hoogleraar aan Oxford University en wereldwijde autoriteit op het gebied van legal technology (‘legaltech‘) en innovatie in de juridische sector. Susskind is in Nederland voor de presentatie van het General Counsel NL (GCN) Benchmark Onderzoek. De resultaten van het onderzoek liegen er niet om: de juridische markt innoveert, en Nederlandse bedrijven zetten steeds vaker in op technologische hulpmiddelen. When a group of European general counsel wanted to learn more about technology and the law, they went to the most obvious place: Silicon Valley. From Sept. 18-22, 15 GCs for Europe-based companies visited major tech companies and their legal departments to learn about emerging technology and business issues facing tech companies. They visited Google Inc., Oracle Corp. and Microsoft Corp. The trip was stage two of the General Counsel Executive Programme—a sort of “mini-MBA” put together by the Rotterdam School of Management at Erasmus University and General Counsel Netherlands. GCN, for short, is like the Netherlands version of the Association of Corporate Counsel. Dana Dosset, head of legal and infrastructure at Heerema Fabrication Group SE, said in an email that she learned about newer, cheaper and quicker ways to deliver commoditized legal work. And she said she was surprised at how many “traditional” businesses were developing “software as a service” (SaaS) business models. Many of the GCs are in industries including shipping, cargo, manufacturing and food. GCs from the Netherlands, Belgium, Swiss and the United States sat around blue-draped tables arranged in a square. Small windmills and clogs decorated the tables. For breakfast: coffee, bagels, fruit Danishes and, naturally, stroopwafels. Several faculty members, including Robin Feldman and Jill Bronfman, taught small sessions on topics like privacy, environmental and property law and legal trends. Expert witness Devinder Grewal gave a little show with a drone, flying the machine to one end of a classroom, taking a photo, and then steering it back to the lectern. Bogaards said the example quickly showed the privacy issues coming for lawyers working with automated devices. At Oracle Corp., managing counsel Todd Adler toured the GCs around Oracle’s OpenWorld event—a showcase of information technology, Internet of Things, big data and cloud computing development with hundred of vendors. 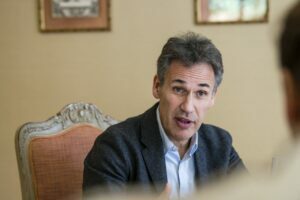 “It was a great way to talk about the legal issues raised by those technologies, what those technologies are, how they’re developed, and how they’re being using in business,” Adler said. He said the he discussed legal department benchmarking, data privacy, and the evolving role of a legal department. Several GCs spoke highly of the visit. One area was lacking, though: in-house use of new software and technology, said Marja Gorter, senior corporate vice president of legal at fleet management company LeasePlan Corp.
As businesses keep expanding internationally, the potential legal risks they face multiply. Class action suits in Germany, national security subpoenas in the US, intellectual property infringements in China – these days, legal trouble can pop up anywhere. About 15 European General Counsel are planning a trip to Silicon Valley in September as part of a program billing itself as the first academic business school course for GCs in the world. The General Counsel Executive Programme is a joint initiative of the Rotterdam School of Management at Erasmus University and General Counsel Netherlands (GCN), a Dutch group akin to the Association of Corporate Counsel in the U.S. The course provides GCs based in various countries with the business and strategic skills needed to adjust to the changing role of a global general counsel. GCN co-founder Petra van Hilst helped start the program in January by creating special courses, taught in English, on topics aimed at international GCs. 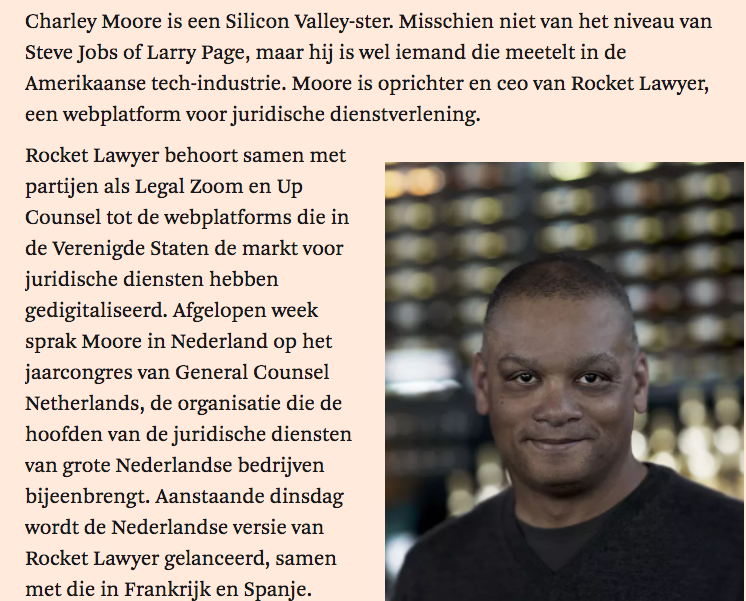 “The legal industry in the U.S. is so much bigger, with many legal IT tools and software, and so much further ahead of Europe,” says Van Hilst, herself a former GC of San Francisco-based Meltwater, a media intelligence software company. The academic program consists of six, three-day modules spread out over 18 months. The group has just completed the first module, C-Suite Strategic Management, which focuses on how to evolve into a trusted adviser, corporate secretary or direct report to the board. Most of the group is looking forward to the trip to Silicon Valley. Details are still being finalized, but Van Hilst says the trip will include meetings with law schools and other company GCs as well as one or more tech companies. “We thought it would be interesting for them to see how innovation works, and how changes regarding digitalization affects them and their companies,” Van Hilst says. One group member is Sebastien Vitali, senior corporate counsel with Wyeth Nutrition, part of Nestle. Vitali is based in New Jersey, while the company’s central legal team is based in Switzerland, and he travels to Rotterdam for the three-day modules. “I was looking for a mini-MBA program for GCs and couldn’t find anything,” Vitali says. And then he found the Erasmus program taught by MBA program professors but designed for general counsel. Another participant is Marja Gorter, senior corporate vice president for legal and compliance at LeasePlan Corp. in the Netherlands. The company offers fleet management services as well as different forms of vehicle leasing. Gorter worked at a Dutch law firm based in New York for three years and says “you always get a lot of energy and new ideas when you travel to the U.S.” She’s looking forward to the Silicon Valley trip to gain insight into the latest tech tools that relate to her business. As Van Hilst notes, “The in-house lawyer is not the person he or she was 15 years ago, sitting at the end of a hallway drafting contracts.” Now, she adds, in-house lawyers are expected to run legal departments, manage bribery and compliance efforts, and talk to CEOs and executive committees. “The role has changed so much,” she says. Onder andere Floris Carlier, Head Legal Wholesale van de Rabobank, Max Hübner, Director Corporate Legal & Tax van PGGM en Mariëlle van de Weijenberg, General Counsel van Heijmans geven hun mening over wat zij als eindverantwoordelijke bedrijfsjuristen verwachten van de advocatuur in bijgaand artikel uit het Advocatenblad van maart 2014.